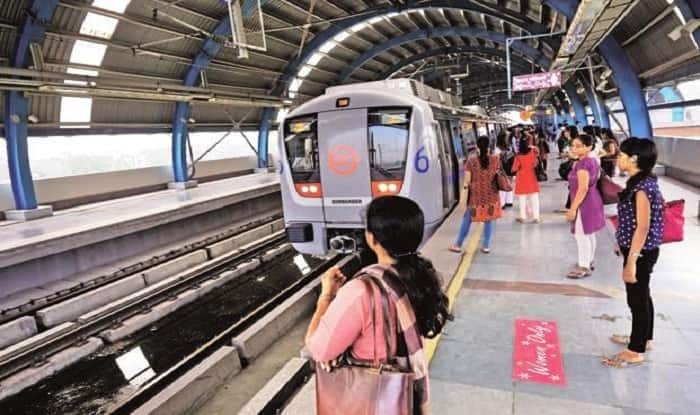 The incident took place at the Moti Nagar metro station on the Blue Line, after which the 40-year-old victim was rushed to a nearby hospital. The victim, identified as Gita, was travelling with her daughter. The incident took place at the Moti Nagar metro station on the Blue Line, confirmed a senior Delhi Metro Rail Corporation (DMRC) official. Soon after the accident, the victim who is a housewife was rushed to a nearby hospital, added Prasad. He said, “I got a call from my daughter who told me about the incident. Apparently, one of the commuters had pressed the emergency button to alert the driver for stopping the train,” he said. In a tweet, the DMRC informed that the services were briefly affected between the Moti Nagar and Rajendra Place stations. Gita is a resident of the Shashtri Nagar area near Inderlok. The Blue Line of Delhi Metro connects Dwarka in Delhi to Noida Electronic City.